Recently disclosed by Uber was a mishap that affects millions of customers and drivers, but it was swept under the rug, potentially putting millions at a higher risk. Apparently late 2016, Uber had been hacked, and millions of customers and drivers’ sensitive information had become known to the malicious online hackers. 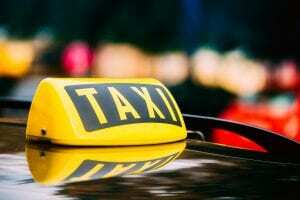 Instead of disclosing this information to the proper channels, Uber instead chose to pay hackers 100,000$ to destroy data on millions of customers and drivers, to hide the incident from victims and authorities. Attorney generals in at least four U.S. states have launched investigations into the incident. Due to Ubers decision to go against regulations and report the incident, they are now in hot water with their customers and drivers, as well as local governments. The FTC, which looks into companies who handle sensitive personal information, is now looking into Uber to assess the damage and serious issues that are prevalent in response to the breach. This issue does not only affect the US, but the UK as well. The UK criticized Uber for it’s lack of communication, preventing UK government to look into the problem and asses the damage for those affected. The UK has a 500,000 pound penalty delivering to Uber for their inability to follow regulations. The information that was stolen includes email, phone numbers, names, as well as license numbers. An estimated 600,000 drivers license numbers were stolen. Uber has been tight-lipped with reporters looking for more inquiry about the problem that arose and how it was handled. Uber executives have been fleeing one by one for one reason or another, involving sexual harassment, data privacy, and business practice. London has pulled Uber’s operating license because of their failure to deal with public safety and security isssues.